Successfully Added Budget Mobile Phone - Dual SIM, FM Radio, Bluetooth, Micro SD Card to your Shopping Cart. 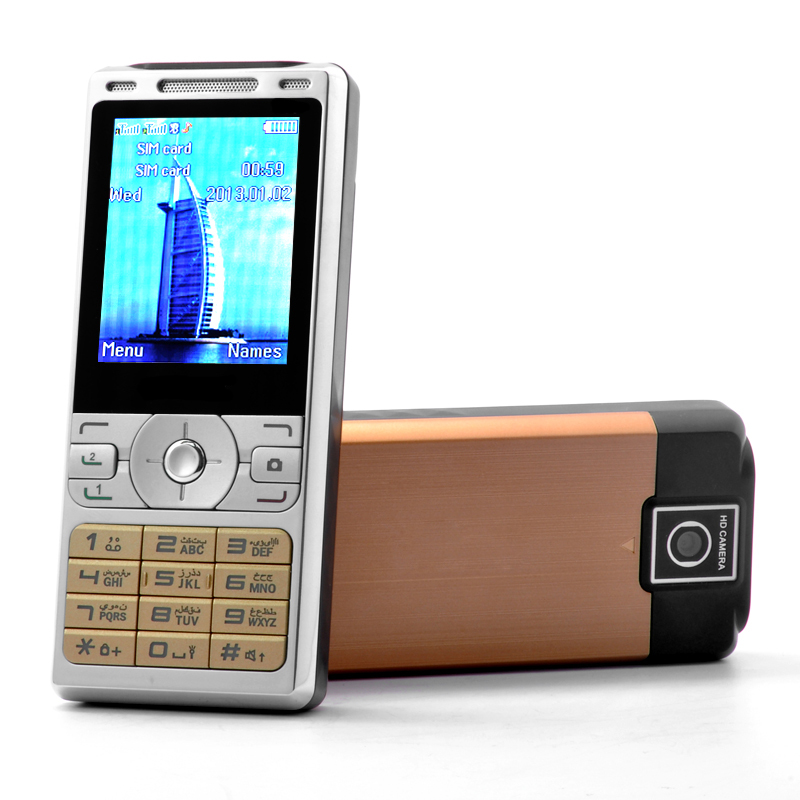 Budget Smartphone with Dual SIM slots, FM Radio, Bluetooth, Micro SD Card slot, Backlit number pad and more. The budget cell phone is the latest of our budget phone lineup. If Android isn’t really your thing but you still want a powerful phone, then this phone is a great alternative. Packing all the good stuff but leaving out the high price tag, this phone comes equipped with a camera which let’s your take pictures and record video, a calendar function, a powerful multimedia player and so much more. Insert a Micro SD Card to truly unleash the power of the mobile phone and watch movies and pictures on the 2.2 inch screen. On top of that, two powerful LED lights can be activated and will turn the phone into a handheld flashlight. Listen to your music trough the built in speaker or use Bluetooth to connect wirelessly to other devises to transfer files or stream audio. Furthermore, thanks to the backlit keypad you’ll be able to use the phone even at night and see the buttons clearly. This all round Budget Smartphone is now in stock and ready for shipment within one day. Brought to you by the leader in wholesale Phones, Chinavasion.